Graduating from high school is the only milestone a teenager looks forward to for four years. Before your teenager says “War Eagle,” “Roll Tide,” “Hotty Toddy” or “Go Jags,” make special memories they’ll remember. As a parent, seeing your teenager walk across the stage to receive their diploma brings a mix of emotions rushing through you – amazement, excitement, love, happiness and a little melancholy. It is the only thing they look forward to for four years and the biggest milestone of their lives. It’s an occasion we don’t want to end and it doesn’t have to by planning a weekend on the Gulf Coast and making it a vacation. and individuals involved. You may enjoy relaxing on the beach or next to the pool, but for your teen they usually want a little adventure. Whether it is riding go-carts, shopping or seeing a movie, they want to get out and about exploring the area after spending the day by the pool. It is important for teenagers to have their own independent experiences as they develop into adults as it gives them a chance to discover things on their own and they can’t wait to share them. Also, look into the amenities of the destination. They may have planned activities such as corn hole, chess, karaoke or a luau night. But the most important thing to do is to ensure everyone has access to Wi-Fi. Even bringing your teenagers friends, they still want to be connected to everyone on their social media sites. When checking in, bring the luggage to the condo and then take time for the entire family to tour the property together. Scope out where the pools, gym, tennis courts, restaurants, beach access points are and get an idea of what everyone wants to do and when. Then, take a family trip to the grocery store and stock up on everything you’ll need. Having food can make a trip enjoyable or miserable for everyone involved. Teenagers love to eat and having their favorite foods on hand for a midnight snack definitely puts a smile on their face. On our visit to Turquoise Place the amenities offered were more than one could ask for and the staff was over the top. Anything we needed, the staff was there within minutes, with a smile on their face. Turquoise Place is in a spectacular location surrounded by wonderful restaurants and souvenirs shops. As a family we enjoyed having the hot tub on the private balcony to reminisce and talk about the future. My daughter and her friends began discussing graduation plans on the first day of their senior year. So we had the whole family involved in deciding what to do, where to stay and what we type of memories we wanted together. Their attitudes are much more likely to be positive and everyone’s experience enjoyable when including them in the conversation. When traveling with teens, keep one thing in mind: they want this trip as much as you do and want to be included. A special thank you to Nadia Bush for this guest blog submission. We’re so glad that you had a great time! Are you planning a summer vacation right now? 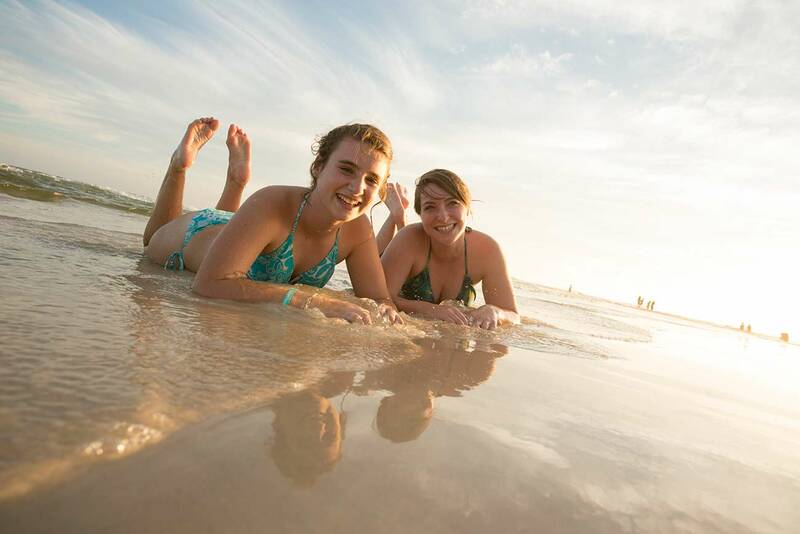 If so, check out our previous guest blog post on 7 tips for planning a summer vacation.